Throughout your exciting dinner at SURA Korean BBQ Restaurant Richmond, you will have the opportunity to enjoy the most authentic Korean BBQ. Because we strive to serve the freshest meats at the highest quality, having BBQs at SURA Korean BBQ Restaurant Richmond is more than just enjoying grilled meat. Royal Marinated Galbi (韓式烤腌牛仔骨), Royal Galbi (韓式烤原味牛仔骨), or Premium Royal Galbi (極品牛仔骨) is especially recommended. Take a small piece of grilled meat, a dollop of banchan and relish with a spoonful of rice, you will realize you’re in for a real treat. Thin strips of beef rib meat. This is perhaps the most popular beef cut all around, because people in S. Korea or now at the western regions have have been enjoying Korean Marinated Galbi BBQ. This cut is marbled and has a deep rich beef flavour. There is much higher quality Galbi-sal for well marbled texture and deeper beef flavour, which we at SURA calls Premium Royal Galbi. 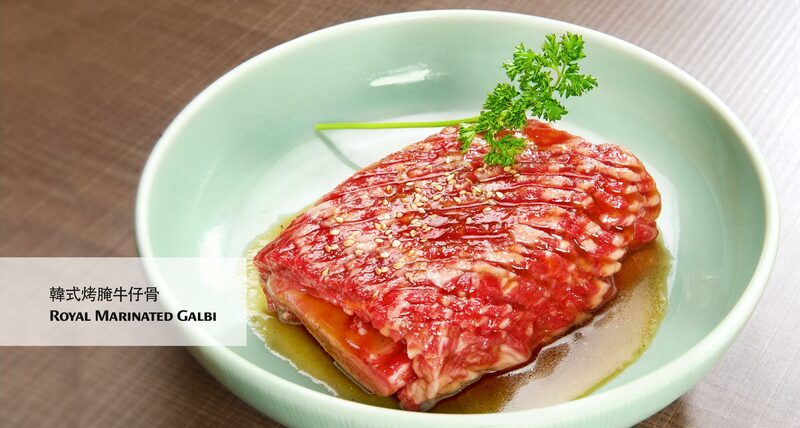 Deung-sim is beef sirloin, and higher quality Deung-sim is called Kkot-deung-sim, which is flower marbled sirloin. These cuts are tender, juicy and have great marbling – especially Kkot-deung-sim is famous for its flower like marbling. All tend to be pricier than other beef cuts. But if you’re aBBQ lover, you know it’s worth the higher pricing! Click here to check out our awesome BBQ menu!